This small photo album includes several winter views of Harvard’s Museum of Comparative Zoology, the Memorial Church, Oxford Street, the Biological Laboratories, Harvard Yard buildings, and more, all on the Harvard University campus in Cambridge, Massachusetts. All photos below are © R.J. O’Hara and were taken during my time at Harvard as a graduate student in evolutionary biology. Museum of Comparative Zoology in Winter — The Oxford Street entrance to the Museum after a heavy snowfall. 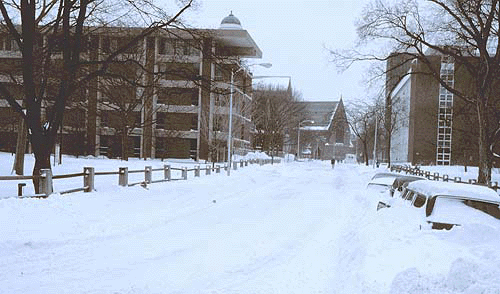 Oxford Street in Winter — Looking down Oxford Street past the geological laboratories toward Memorial Hall in the distance. 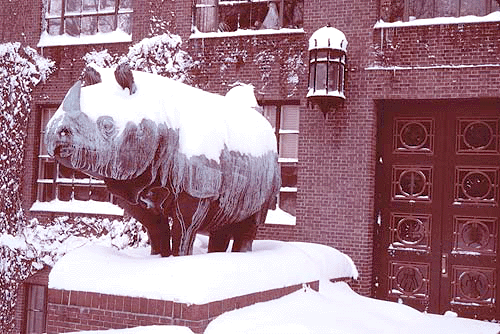 Biological Laboratories in Winter — The entrance to the Harvard Biological Laboratories and one of its two guardians. 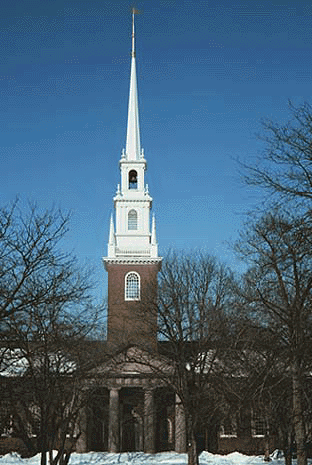 Memorial Church — The Memorial Church in Harvard Yard, dedicated in memory of the graduates of the University who died in World War I. Some years later a small plaque with a Latin inscription was placed in the Church in memory of those graduates who had died fighting on the German side. 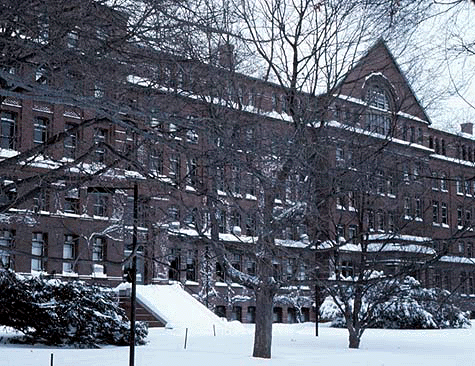 Harvard Hall in Winter — Harvard Hall in the Yard is the second oldest surviving building at Harvard, after Massachusetts Hall. 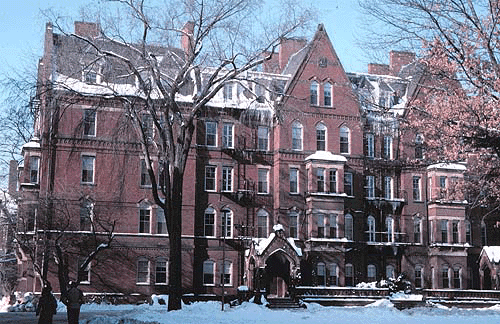 Harvard Yard Dormitories — Matthews Hall, one of the freshman dormitories in Harvard Yard. 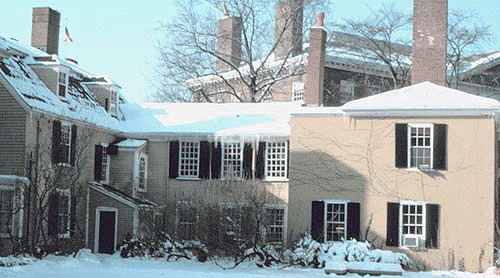 Wadsworth House in Winter — Wadsworth House was used by George Washington as his headquarters during the Siege of Boston, 1775–1776. 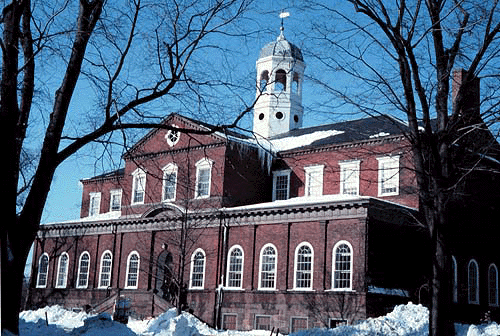 Many of the Yard buildings, such as Harvard Hall, were used to quarter troops during that time. 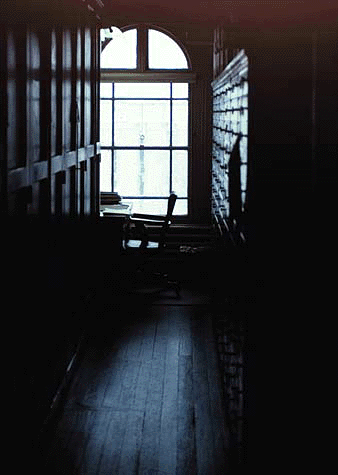 Bird Department, Museum of Comparative Zoology — Looking down an aisle in the egg room to my desk. The window sash fit so poorly that in the winter little piles of snow would often accumulate on the window sill inside the room.